Crushed Flux Collection Methods - Harbert's Products, Inc. Crushed flux can be returned in drums c/w vacuum packed plastic liners. Crushed flux can also be returned in bulk bags. Crushed flux can be returned in bins c/w plastic liners or in bulk bags c/w plastic liners. 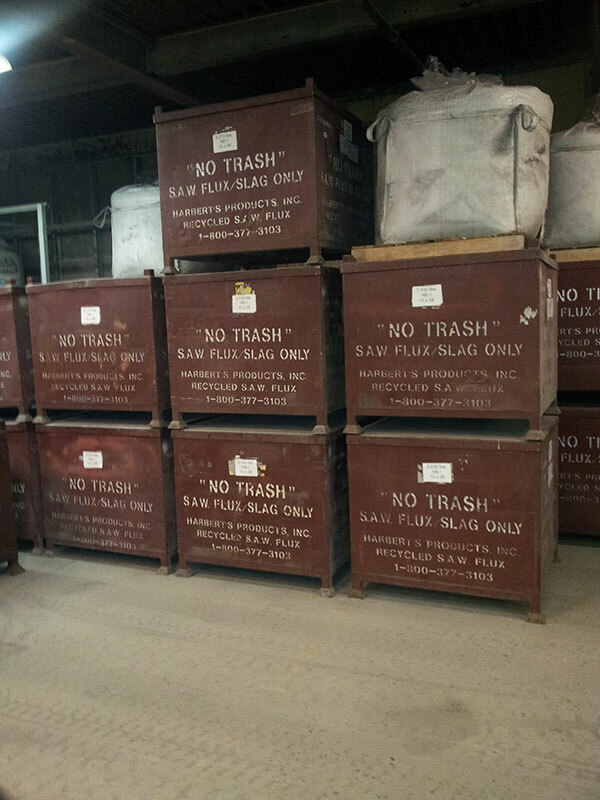 Special modified bins are available with lifting hooks to be moved via an overhead crane. Bulk Bags c/w plastic liners are shipped on skids or inside metal bins. NOTE: The bulk bags are rated for 3,000# average crushed flux weight is 2,200#. Bulk bags can be lifted using a forklift or overhead crane.